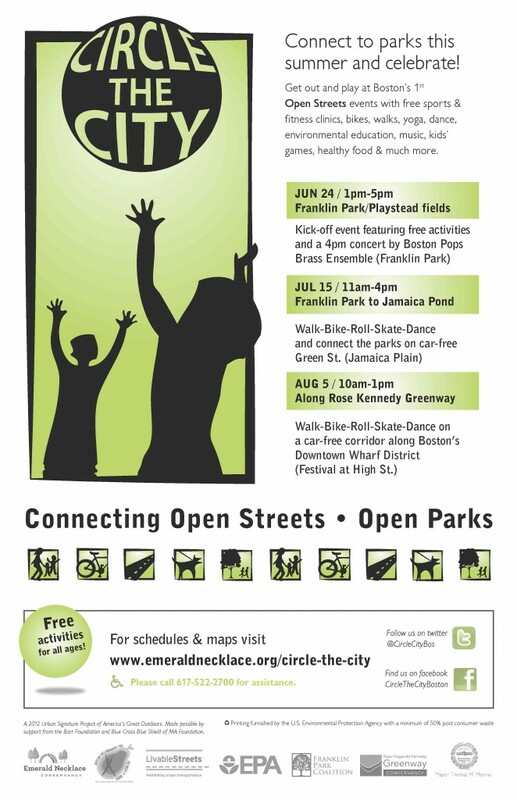 « Free Outdoor Yoga at Jamaica Pond, Thursdays! Awesome! I’ve heard about this in other cities and love the Memorial Drive closure in Cambridge. So excited for July 15th. In cities across the country, open streets are the rage. Why? because it’s freedom–free of cars so people can meander, stroll, jog, roll, hop scotch if they want! Kids are safe, and can practice on skates, on bikes, on stilts if they want. Come out and play in the streets AND the parks they connect-two of the finest parks in the country. There’ll be live music, yoga classes ever half hour, zumba, free bikes to ride, and so much more. A wonderful event — athletics, exercise, music, bicycles, food, fun! People came from all around the city and region — very diverse audience. I hope it leads to more on-street activities around the city.